Letsitele, Limpopo Province, South Africa. In 1989, an animal loving South African beekeeper named Dave Du Toit was given a newborn Vervet monkey, no bigger than the palm of his hand and with his umbilical cord still attached. Dave had no idea what to do with the terrified infant, so he called the nature conservation authorities and received an unexpected piece of advice: kill the monkey. Disillusioned with the nature conservationists and horrified by the public’s hatred of the monkeys, Dave decided to keep and care for the baby Vervet and named him Regus (The Little King). But soon the local authorities caught wind of Regus’ existence and arrived with the intention of killing him. Dave and Arthur quickly learned that prevailing opinion pinned the Vervet monkeys as either terrible pests who destroyed crops and homes, or talking witches who, lest their menace overrun society, needed to be burned, shot or poisoned. 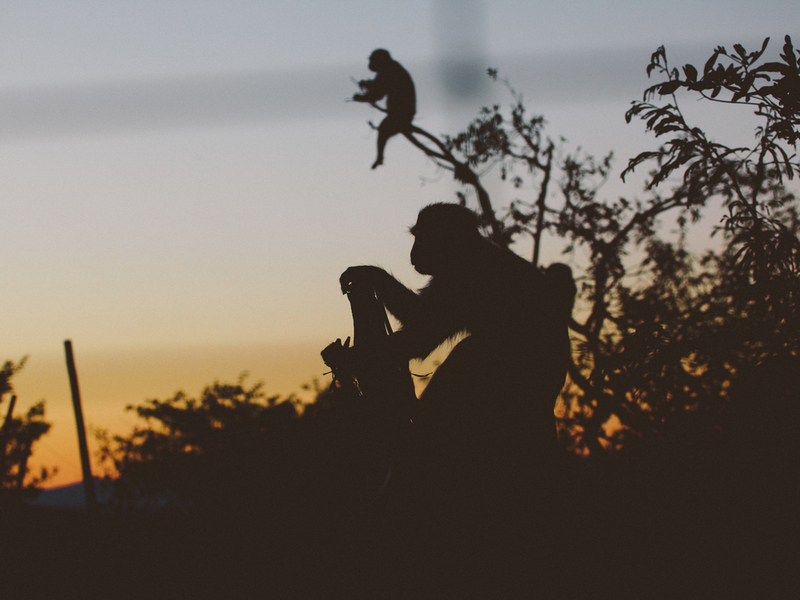 Perceiving the Vervets instead as incredible, socially sophisticated and intelligent Old World monkeys, Dave and Arthur endeavored to change the state of the Vervet monkey in South Africa. They soon found themselves with 6 more Vervets on their hands and, after a long struggle and a slew of court orders, they were finally awarded a permit to start a rehabilitation foundation for Vervet monkeys in 1993. The Vervet Monkey Foundation was born. 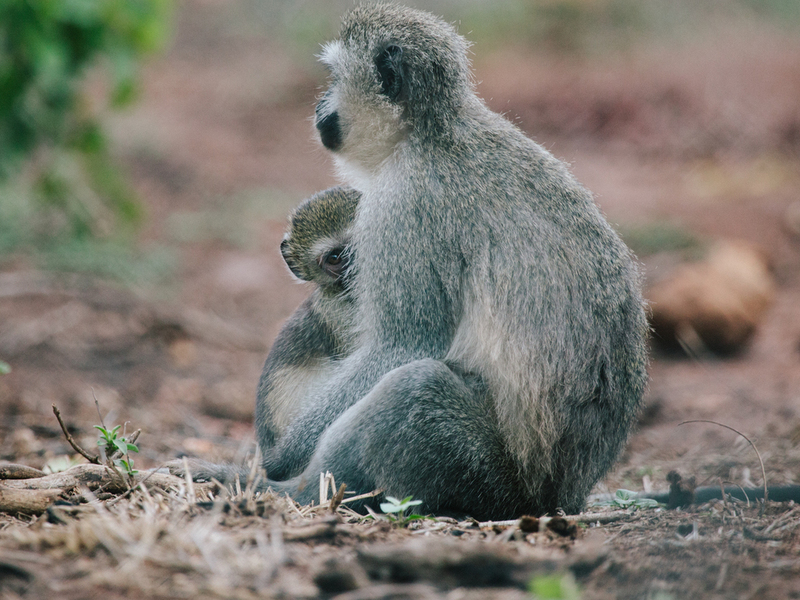 The foundation hires many locals from Tzaneen, conducts community outreach education programs in local schools, and runs sophisticated rescue and rehabilitation programs for injured and orphaned Vervet monkeys. The VMF is run by the local workers, volunteers from all over the world, and a team of dedicated staff, pictured below. A vervet hangs out on some branches in an enclosure. Sick Bay, where sick and injured vervets are treated. Lauren acts as a bed for a napping vervet and baby samango.